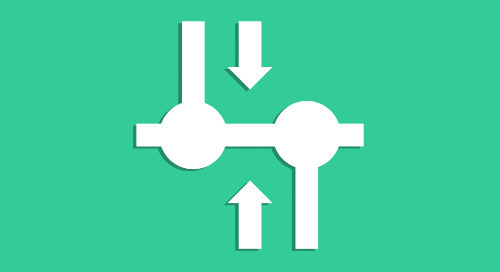 RolePoint is proud to announce that it has joined Google Cloud's Job Discovery beta program. 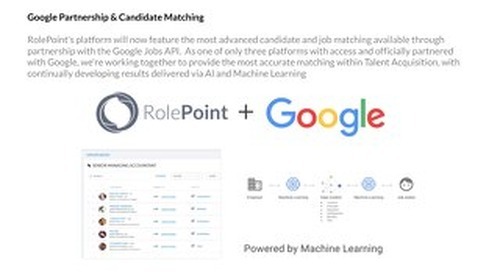 Now Google’s search and machine learning technologies can enhance your employee referral program by integrating Google Cloud Job Discovery with your RolePoint Portal.  Most referral sites rely on keyword search to retrieve results which often omit relevant jobs. For example, a search with any spelling error like "Project Manger" will return 0 results, but Cloud Job Discovery automatically corrects for this and understands both job content and the intent of referrers. 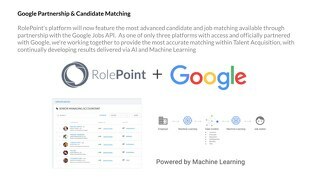 RolePoint uses Google Cloud Job Discovery machine learning to provide your users with more relevant results. 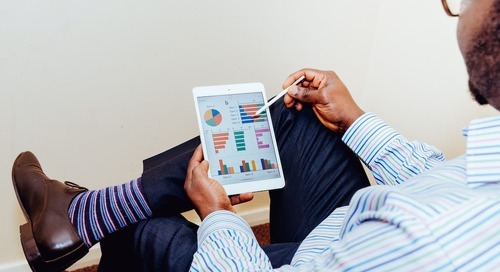 Machine learning increases the overall effectiveness of your referrals portal. To learn more about Job Discovery, visit Google Cloud's page. 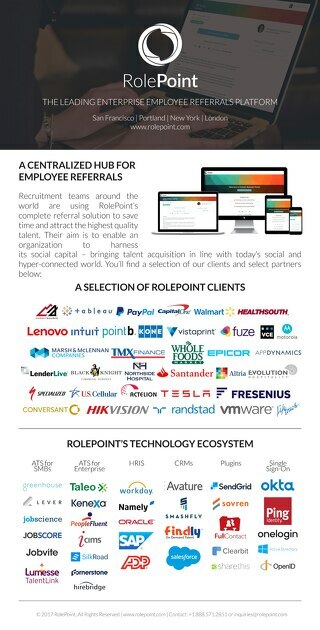 If you'd like to learn more about RolePoint's Job Discovery integration, you can request a demo here.